Bringing a very quick and easy design to you today...just a bit of pretty designer paper, burlap bow, and fabulous sentiment! 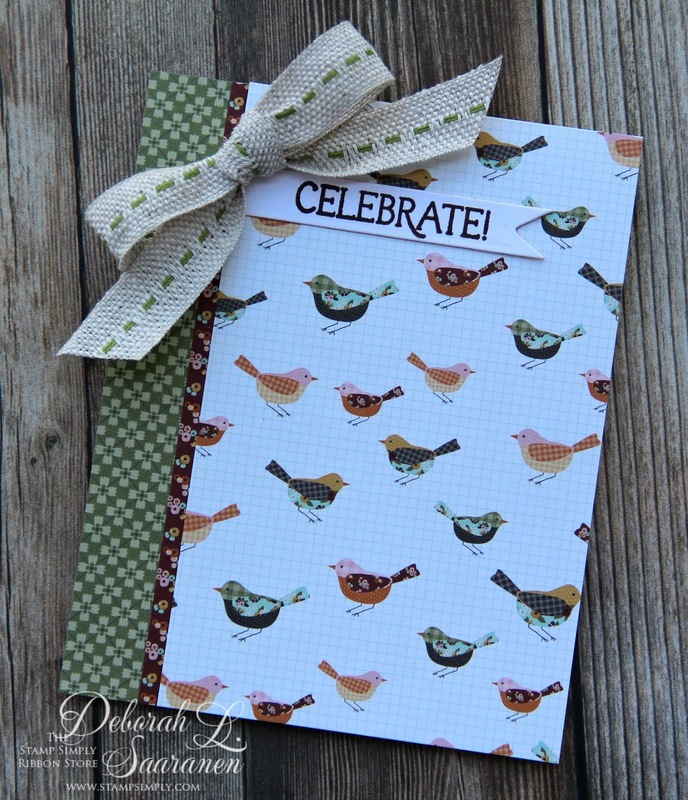 I began by layering Simple Stories "Vintage Blessings" decorator paper on a tent fold card base using ScorTape. Loving these sweet birds and the other quaint prints in this pad! 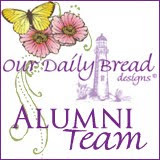 I used an Original Bow Easy to create an accent bow with May Art's 5/8" Center Stitch Burlap Ribbon, glued into place with Tombow Mono Multi liquid glue. Final touch: a simple, but pretty sentiment from Stamp Simply's clear All Occasions Two stamp set, stamped with Versafine Vintage Sepia ink. 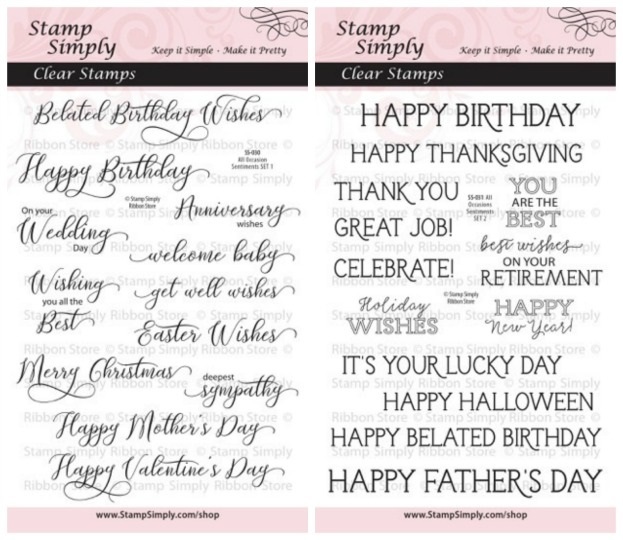 Here are both All Occasions Sentiments Sets One and Two from Stamp Simply Ribbon Store. These two sets cover so many occasions...so useful! 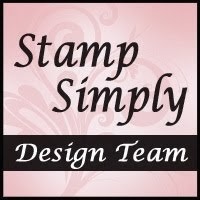 All linked product is from The Stamp Simply Ribbon Store.